Zen Kitchen are celebrating their tenth anniversary with the catchy slogan ‘Zen Turns Ten’ and we were treated to a delicious six course meal with amazing refreshments. 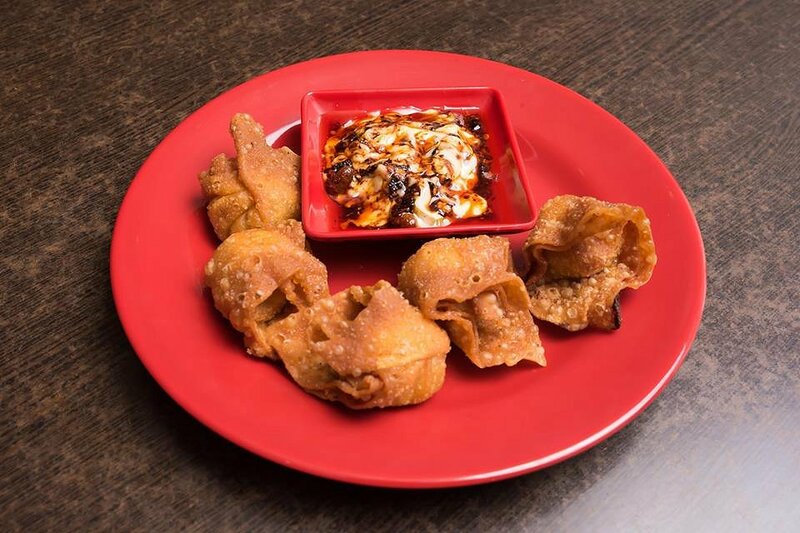 The whole experience rewarded your taste buds with a perfect balance of various flavours. 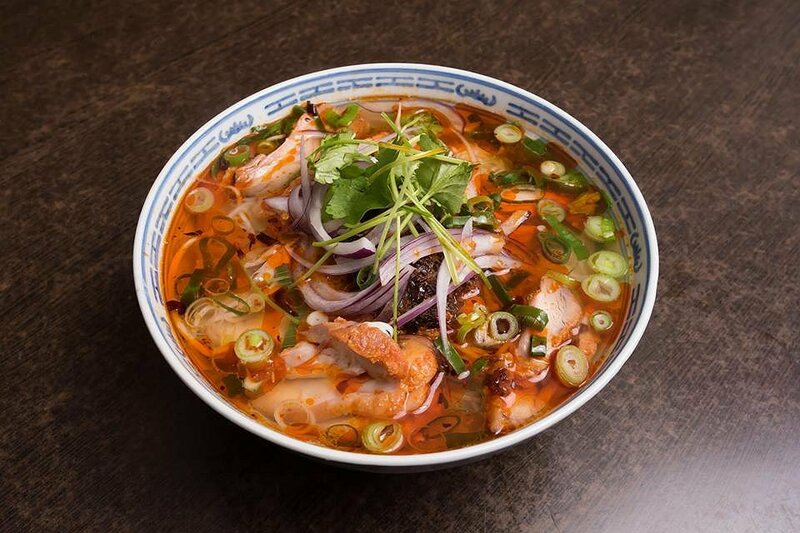 Our mouths were spiced up straight away with the Lemon Grass Chicken Noodle Soup which gave an instant kick succulent chicken. Its sweetness blended well with the red onions, green onions and coriander and washed down nicely after a sip of a Jackfruit Smoothie. The Fried Won Tons came next accompanied with Chilli Mayo. It was a great bite sized warm crunch with juicy chicken. It was impossible to resist drowning the entire Won Ton in the Chilli Mayo. 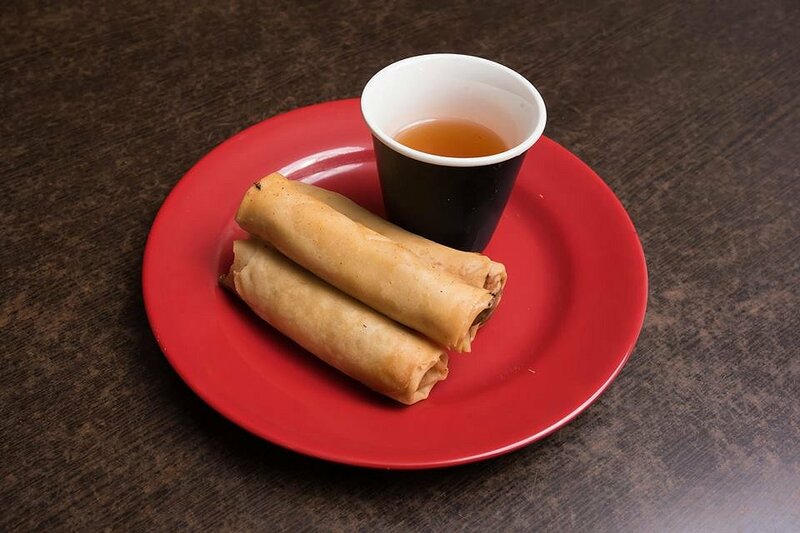 The Spring Rolls was also a tasty snack which was crisp with warm vegetables inside. The appetisers were not heavy on the stomach. 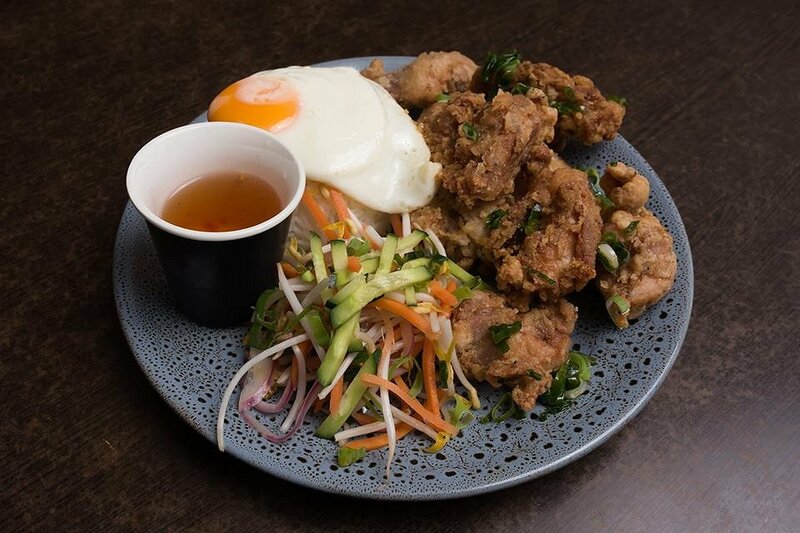 Next came the first Rice Dish (Cơm) with Crispy Chicken Fillet and a Sunny Side up Fried Egg (Gà Chiên Gòn). I sliced the egg yolk and drizzled it over the chicken and rice to create a roller coaster ride of textures from crumbly to gooey. I paired this dish with the Macha Green Tea Smoothie and it surprisingly went well together. 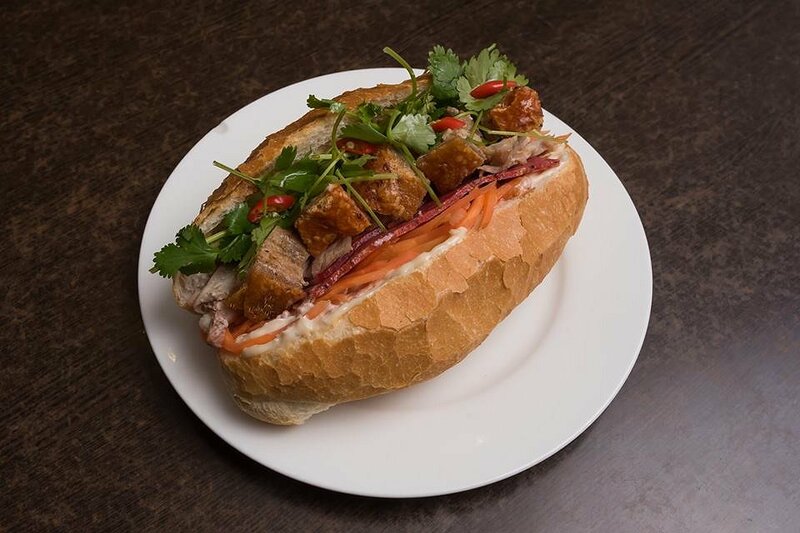 The Vietnamese Roll (Bánh mì) had a combination of Crackling Roasted Pork and Sliced Meat. The roll was absolutely delicious with the Garlic Butter and the help of pickled carrot, cucumber and coriander. The bread was soft and the butter was creamy. Every ingredient worked together to create the perfect taste. This roll was my personal favourite and it is an absolute must have! 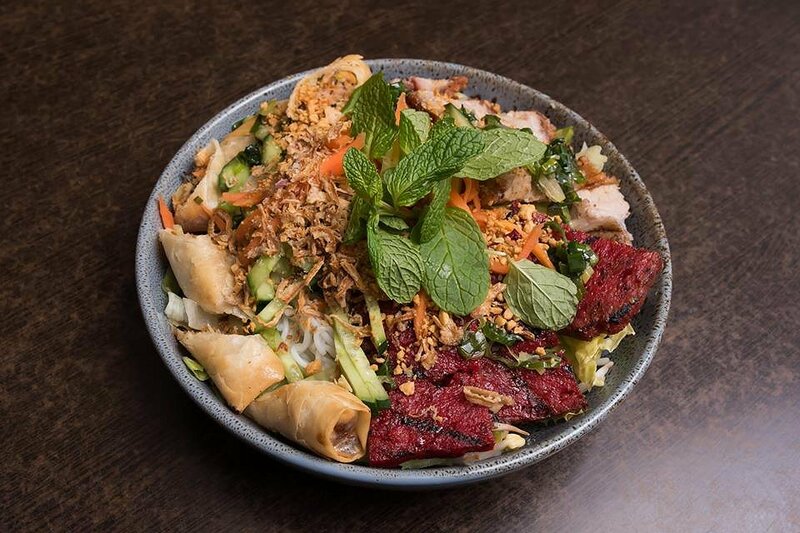 After came the Vermicelli Noodle Salad with Spring Rolls, Pork Loaf and Crackling Roasted Pork. The noodles and vegetables freshened up your mouth and the Crackling Roasted Pork was sweet and had the perfect balance of crunch and softness. 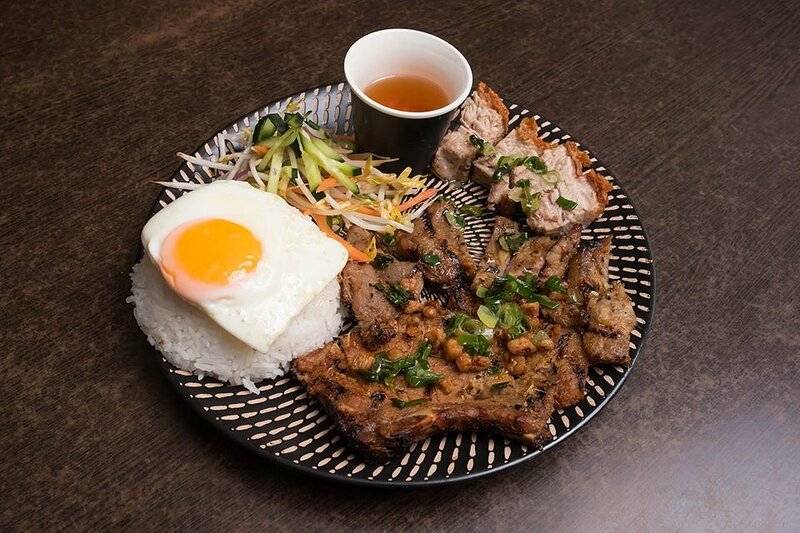 Our final treat was another Rice Dish with Grilled Pork, Roasted Pork and Fried Egg (Sườn heo quay). It was served with a delicious Fish Sauce. It was salty and fresh and pouring the Fish Sauce onto the pork gave a little extra buzz of sweetness and tang.